Charles Nelson is Chief Financial Officer of Hire Counsel and Mestel & Company, both of which are companies of HCMC Legal, Inc. He is responsible for the company’s overall financial and strategic management, including the financial reporting, long-range business planning, and process optimization as well as the Information Technology team and functions. Charles joined HCMC Legal in 2017 and brings more than 30 years of valuable experience in strategic planning, financial analysis, budget preparation, expense control, contracts management, operations, and policy and procedure development. Most recently, Charles served as the CFO of Chicago Skyway Concession Company LLC, where he played an integral role in evaluating and managing all financial, contracts, and compliance matters related to the private purchase of the toll bridge. 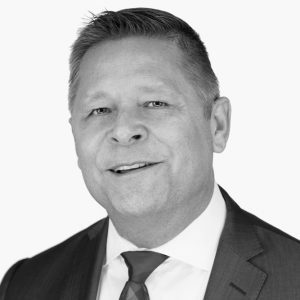 His previous experience includes executive management and controller roles for companies in various industries, including infrastructure, human resources outsourcing solutions, insurance, and asset based lending. Charles earned his B.S. in Business Administration and Accounting from Ball State University, School of Business in Indiana. He is a Certified Public Accountant for the state of Illinois. Charles lives in Chicago and enjoys sports and physical fitness when his three dogs allow it.